BUDAPEST – The Hungarian football team Ferencváros Torna Club (FTC), in cooperation with the World Jewish Congress and the Federation of Jewish Communities in Hungary (MAZSIHISZ), held an unprecedented tribute to a Holocaust-era hero on Thursday prior to its UEFA Europa League Qualifier Match against Israel’s Maccabi Tel Aviv at the Groupama Stadium in Budapest. The Hungarian team’s move to dedicate the match to István Tóth, a former FTC player and coach, is the first concrete step being taken by the government to combat anti-Semitism following its joint declaration to that effect on behalf of 21 co-sponsoring nations delivered to the UN Human Rights Council, at the initiative of the WJC. The event is also in line with the World Jewish Congress’ joint initiative with Chelsea Football Club to combat discrimination and anti-Semitism across the sports world. Both initiatives are being carried out under the guidance of WJC President Ronald S. Lauder, under the mandate of fighting ant-Semitism anywhere and everywhere it raises its head. Tóth was an early Ferencvárosi TC player and later the club’s head coach before joining the Hungarian anti-fascist resistance, following Nazi Germany’s invasion of Hungary. Tóth helped several hundred Hungarians, including many Jews, escape Nazi detention and death before his arrest and execution in February 1945. A special dedication ceremony was held prior to the match, in the presence of Ferencvárosi TC President Gabor Kubatov, Maccbi Tel Aviv CEO Ben Mansford, MAZSIHIZS President Andras Heisler, and representatives of the World Jewish Congress, who spoke of the importance of remembering those who risked their lives for others and the need to combat anti-Semitism on and off the field. 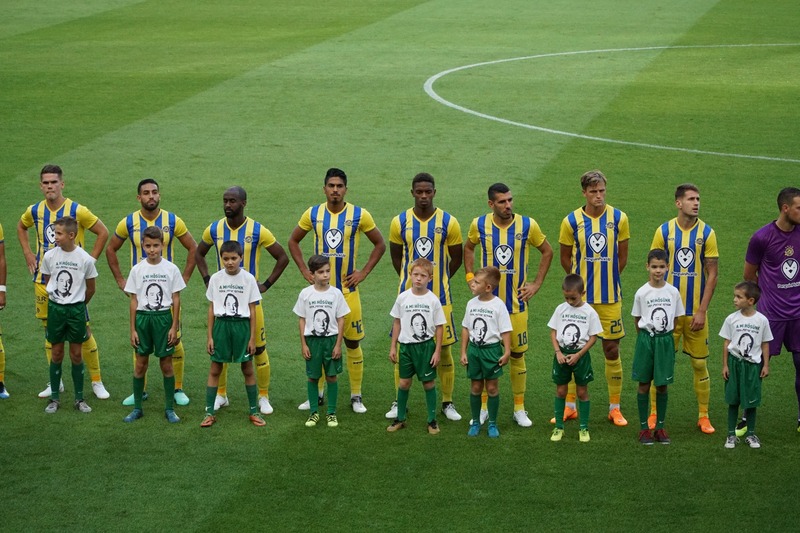 The players of both clubs were then escorted onto the field by children wearing shirts adorned with Tóth’s likeness, as a symbol of civil society’s commitment to honoring heroes of tolerance and combating discrimination. “The World Jewish Congress is pleased that the Hungarian government is following through with its declared commitment to combat anti-Semitism, as expressed in its joint statement to the UNHRC last week on behalf of 21 co-sponsoring nations, at the initiative of the WJC. Education and dialogue are critical elements to contending with xenophobia and and hatred of all kinds, and remembering the deeds of the Holocaust, both evil and altruistic, is essential to preventing the same atrocities from ever happening again. “The WJC launched this week the first stage of its joint initiative with Chelsea Football Club aimed at combating the growing phenomenon of anti-Semitism in sports, in the form of the 'Pitch For Hope' competition of ideas to inspire young people to propose their own projects for attacking this hatred at its roots. 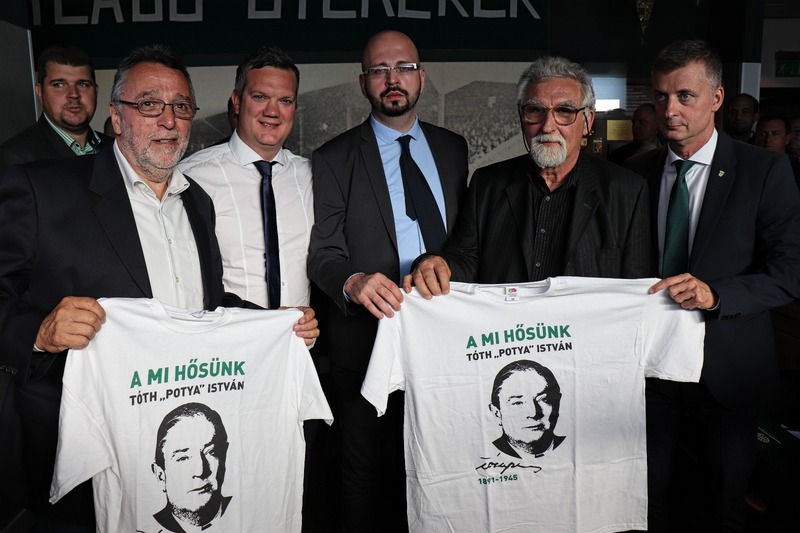 “It is enormously encouraging to see the Hungarian government make use of this central stage of Europa League Football to honor Istvan Toth, who risked his life for the sake of humanity and mutual respect. We look forward to witnessing and taking part in future initiatives of this kind, on both societal and governmental levels, in Hungary and across Europe,” Singer said. “Our mutual heroes of the past are here with us in our hearts and minds to remind all of us that humanity and respect are the basic values we all share. István Tóth is a football hero and a righteous person, who scored the biggest goal of the 20th century by saving Hungarian Jews in the midst of the greatest inferno of the century." "Football offers the magic possibility to experience the tension and thrill of a game together with the next generation while educating them about respect, fairness and decency of our colorful world. By remembering István Tóth, we are honoring a celebrated sport figure, who stood up against violence, hatred and discrimination. His life and behavior is an example to follow in all places and times."